This year has been full of growth for me personally, professionally, spiritually… all of it. I think part of it is getting older and another part is the fact that I am finally starting to feel like myself. It’s weird to zoom out and look at the big picture sometimes. It feels like our lives are segmented into these moments that really take over. As kids we are dreamers. All we can do is imagine what life will be like. We set goals. We make plans. But we really can’t know what we will do with all of that. We grow up and face disappointment or heartbreak. We learn to be resilient and maybe make some not so great choices. We have problems and fix problems and make friends and have breakups. We get married and divorced and maybe even married again. We have kids and jobs. While our paths are never the same, as people we are basically doing what we have always been doing. Go forth and multiply. Work. Rejoice. Weep. Rest. Repeat. So here I am at the end of another year and I am at a loss as to what I could possibly say or do to improve my life. Of course I am always striving for whatever thing I feel is important at the moment. But I also know that it won’t be the most important thing in my life. All I can think about is the fact that I spent the past week in the mountains surrounded by family, lifelong friends and love. How could I possibly ask for more? Last year I chose the word “grace” as a goal for 2013. Looking back I clearly see moments where I extended grace or was given grace. I even had a few moments where I was gracious with myself, which is something we could all do more. Last week, I wrote on BabyCenter about parenting with grace in the tough season of raising young children and saying “no” so often. Honestly, if I had to choose one word for the rest of my life it would be grace. I need it each and every day. 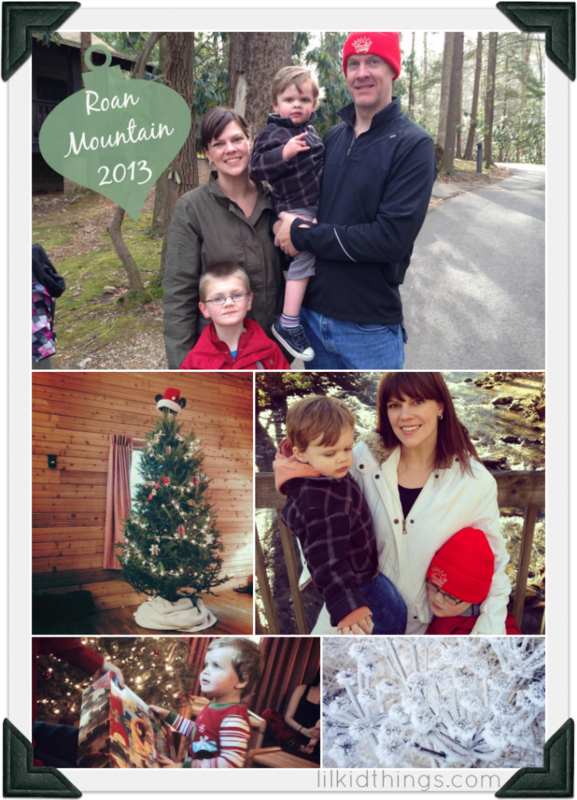 Jen’s Holiday Card is about as real as it gets and that is what really struck a chord in me. I would encourage you to read it and think of your own perfectly imperfect year. I want to be real. Not just real online where I show dirty dishes or messy hair (please I already do that). What I want is to be honest with myself. It’s time to face the fact that sometimes my expectations are too high or that I just can’t like The Bachelor no matter how many of my friends watch it. It’s time to own up to the fact that I am not like everyone else, but also that I am very much like everyone else. I am the only me. Sometimes I am one in a million and sometimes I am one among a million. It’s ok that there is a difference. I am special. I am not that special. That’s real. In 2013 I had some really fun and fulfilling professional growth. I wrote Klout for Dummies and began a part-time job with BabyCenter in addition to writing. I will continue my BabyCenter job in 2014 and hopefully find a nice working stride for the upcoming year. 5+ years ago, when we took the leap from dual income to single income and I became a stay-at-home mom, we always knew I would return to work one day. Since then, I have spent a little bit of time here and there to build something I can do while still being home and present with my boys. Looking ahead to 2014, I am staring at the life I hoped for. I feel very optimistic and thankful. I am beyond hopeful for what is to come, yet completely satisfied with the fullness of joy I have been blessed with. In 2014 I am getting real. I pray that the grace of this year will spill over into 2014 and beyond and that I will be able to freely give it to everyone around me. The beautiful thing about grace is the more you give it away, the more you get to keep. Happy New Year friends. May grace and truth be with you in 2014! Beautiful words. Happy new year to you too!